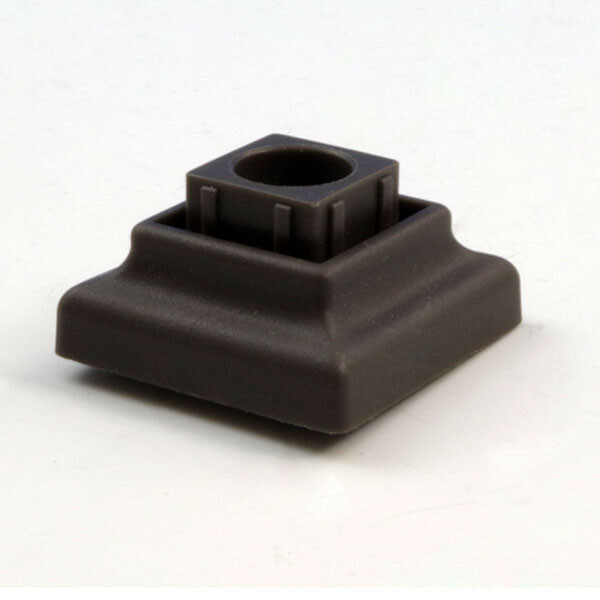 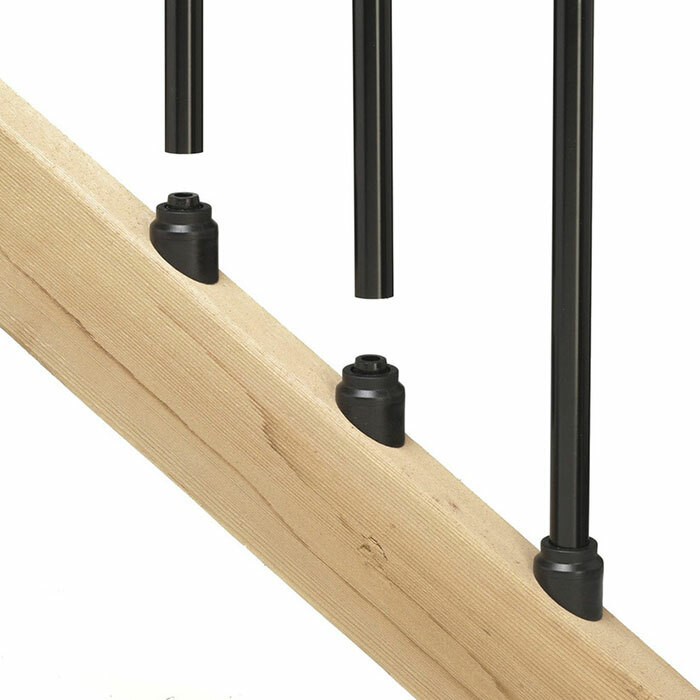 Add an unexpected architectural detail to level or stair rails with Solutions Architectural Baluster Connectors. 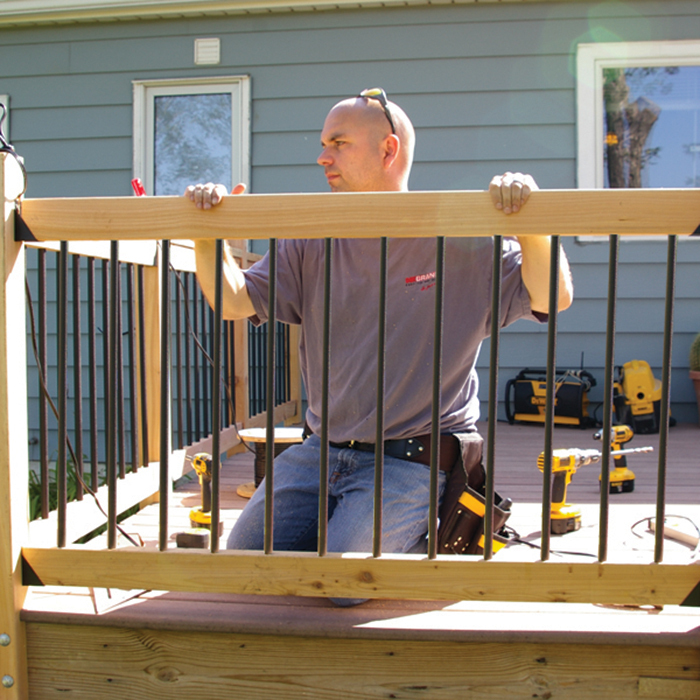 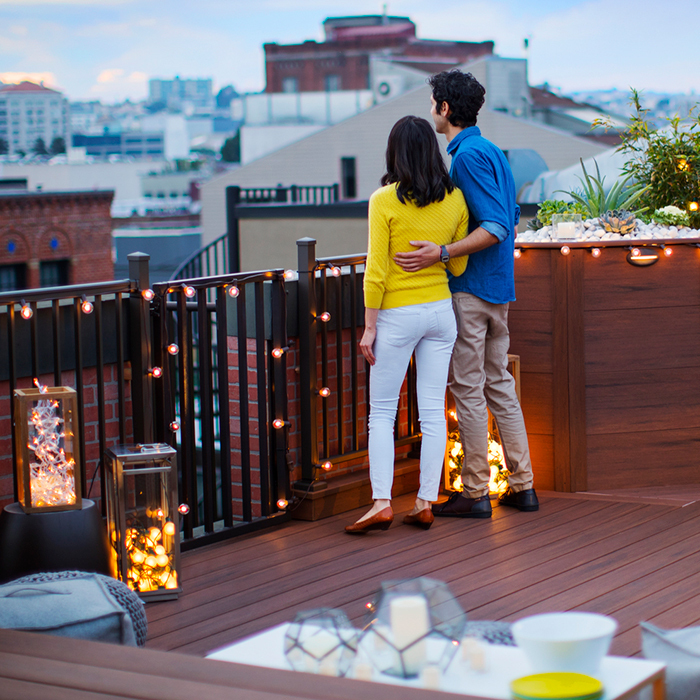 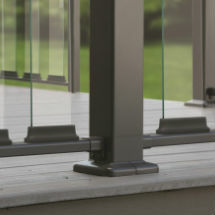 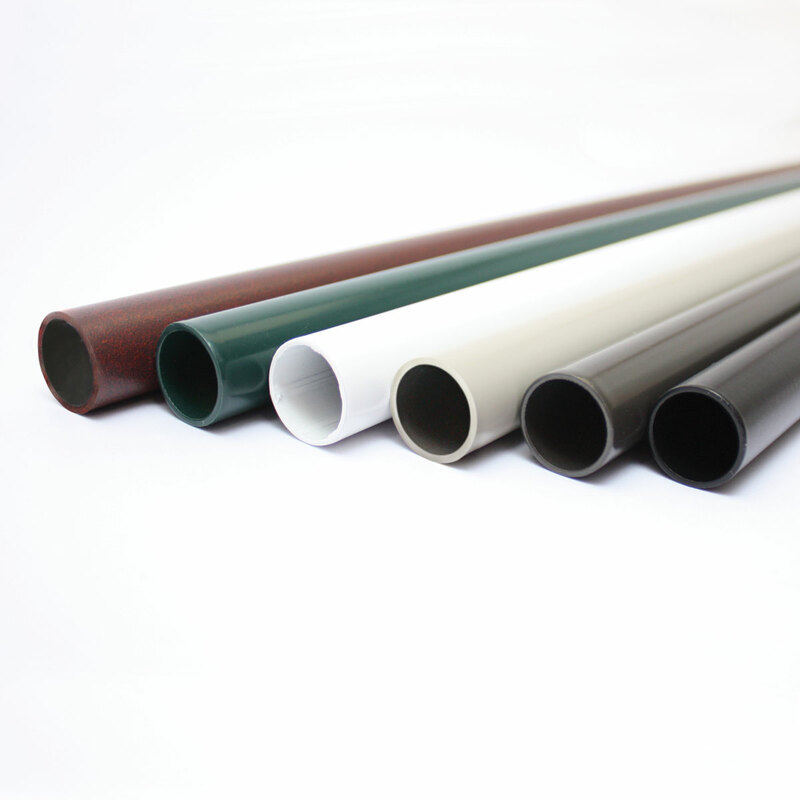 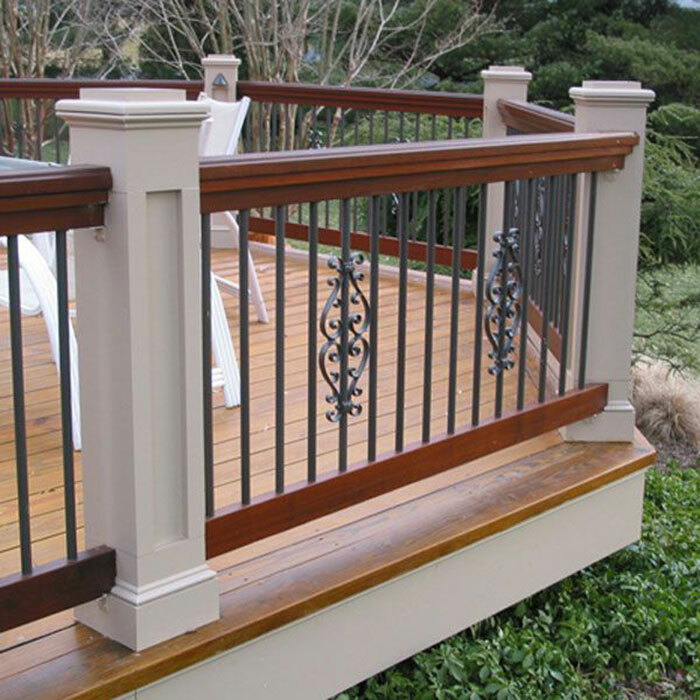 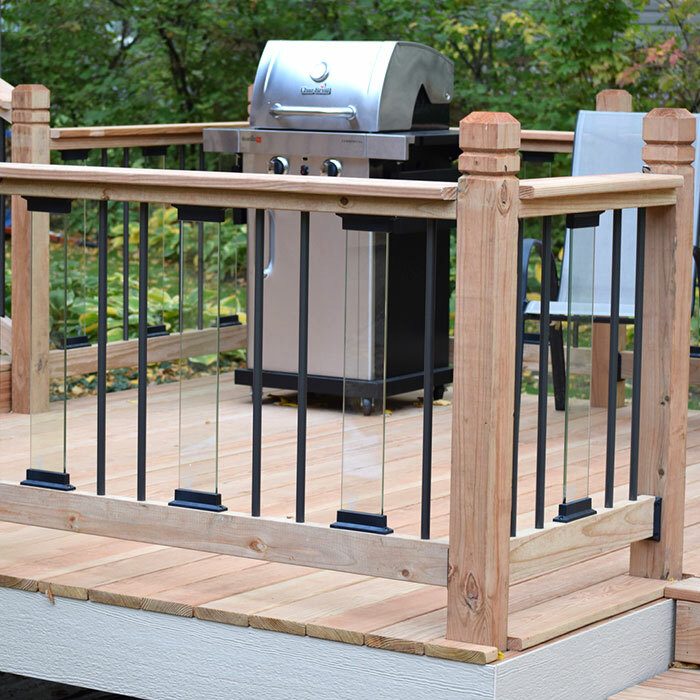 The designer shape is an interesting addition to square balusters, plus the plastic material prevents corrosion that can occur when aluminum balusters come in contact with treated lumber. 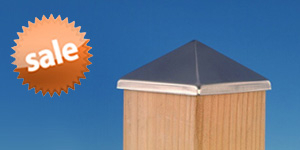 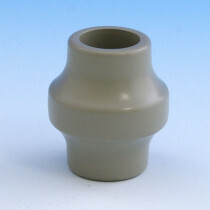 Level connectors have small spikes to prevent spinning after installation. 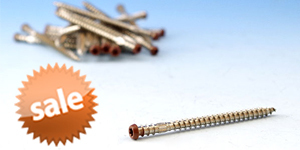 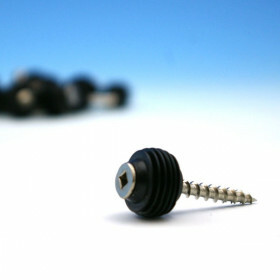 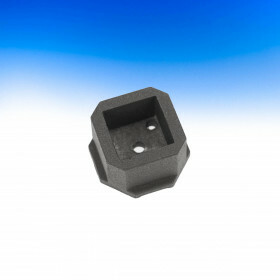 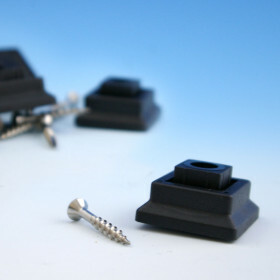 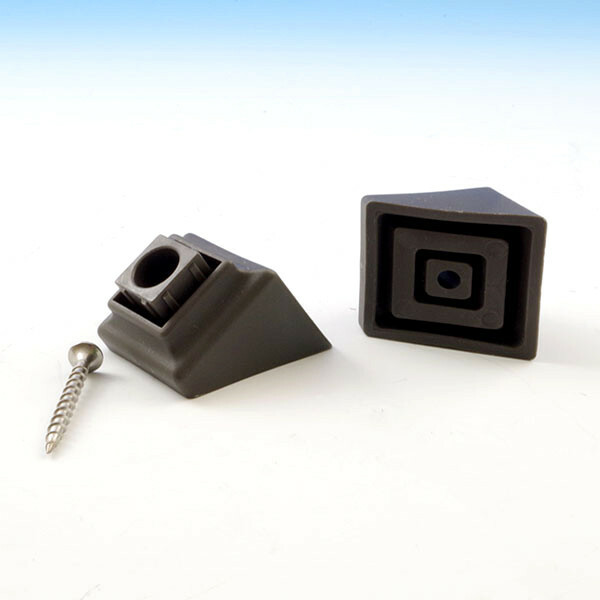 These stylish connectors are pre-packaged with the stainless steel screws you need for installation. 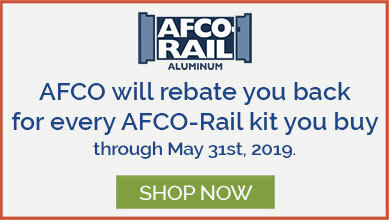 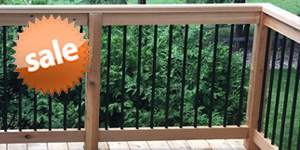 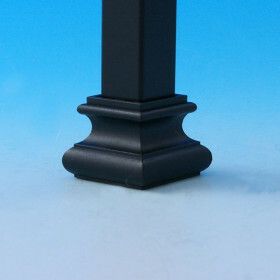 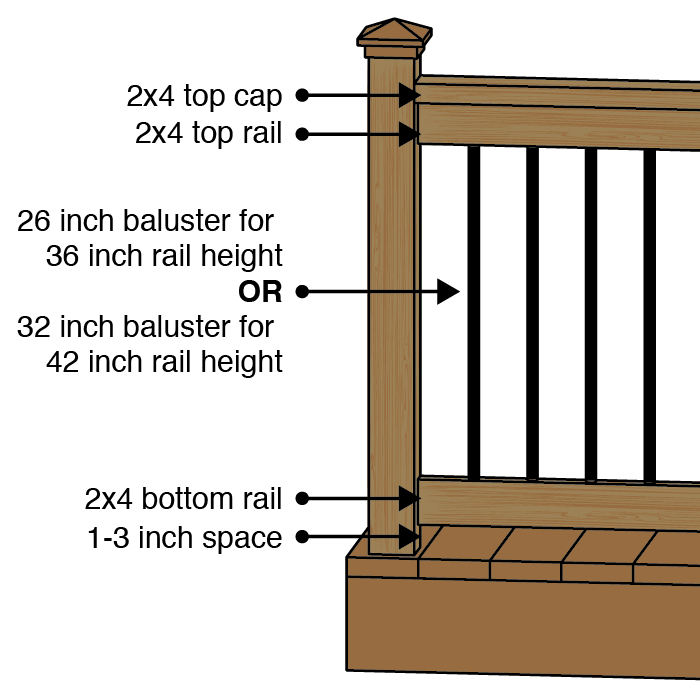 Each package has 20 connectors to install ten square balusters - choose from straight or stair in Black, White, or Bronze. 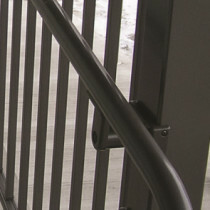 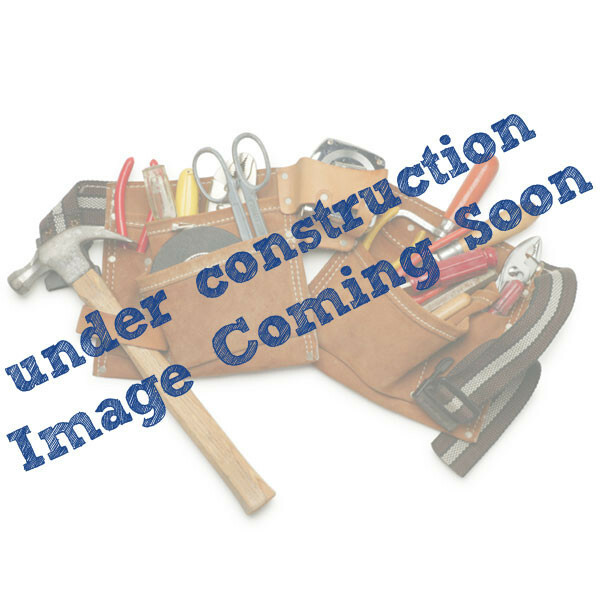 Straight: 1-5/16" x 1-5/16" x 11/16"
Stair: 1-5/16" x 1-5/16" x 1-5/8"